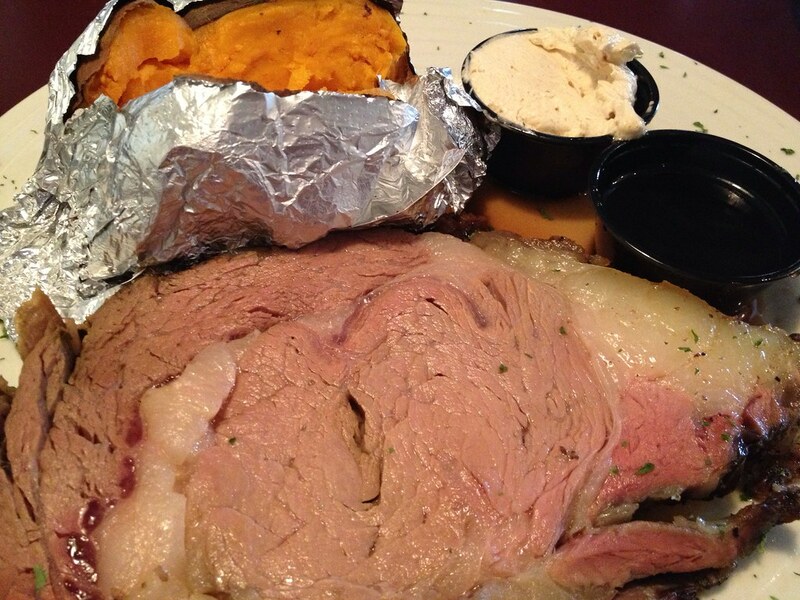 I was told to get two things at Fifth Quarter: the prime rib and the salad bar. So that’s what I did. Fifth Quarter is located on Clendenin Street in downtown Charleston. When I was looking for somewhere new to try that wasn’t too far away, I stumbled upon this place, so my friend Maggie and I walked in. It's supposed to be part of Charleston history. It’s a bit more formal than what we were prepared for, I think. That’s not saying much, though, we were in yoga pants/jean shorts, so, yeah. It's a little older, worn, almost rustic inside. Old school. 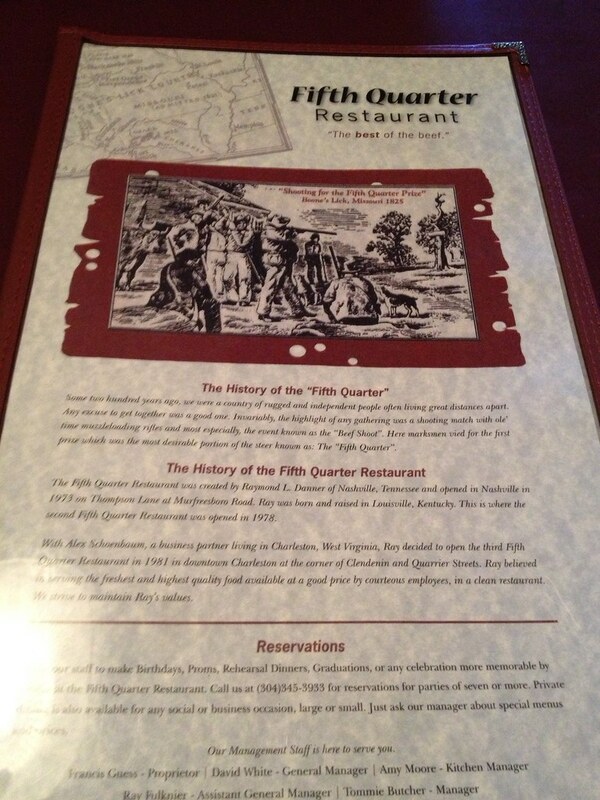 Anyway, apparently the Fifth Quarter Restaurant was created by Raymond Danner in Nashville, Tennessee. A second location was opened in Lousivlle – where Danner was born. A business partner lived in Charleston, and in 1981 our very own Fifth Quarter was born on the corner of Clendenin and Quarrier streets, according to their website. 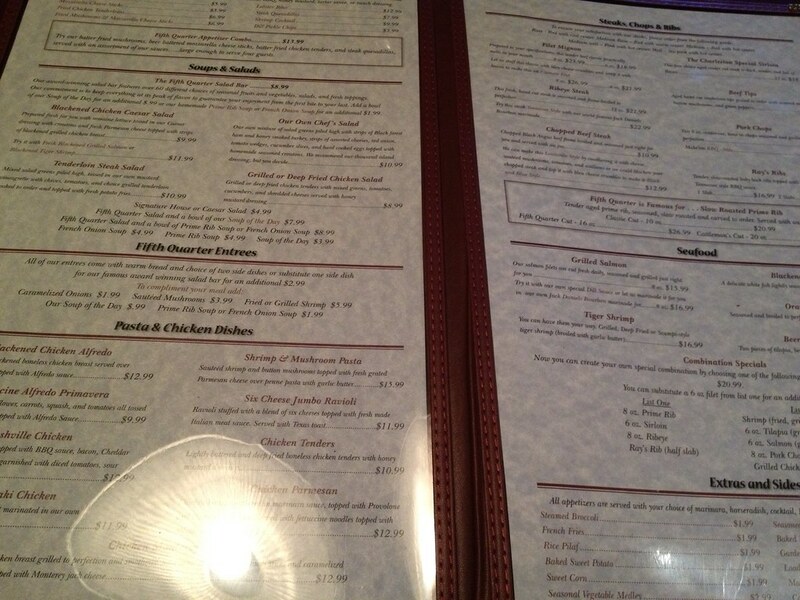 I perused their menu, looking over cuts of meat. 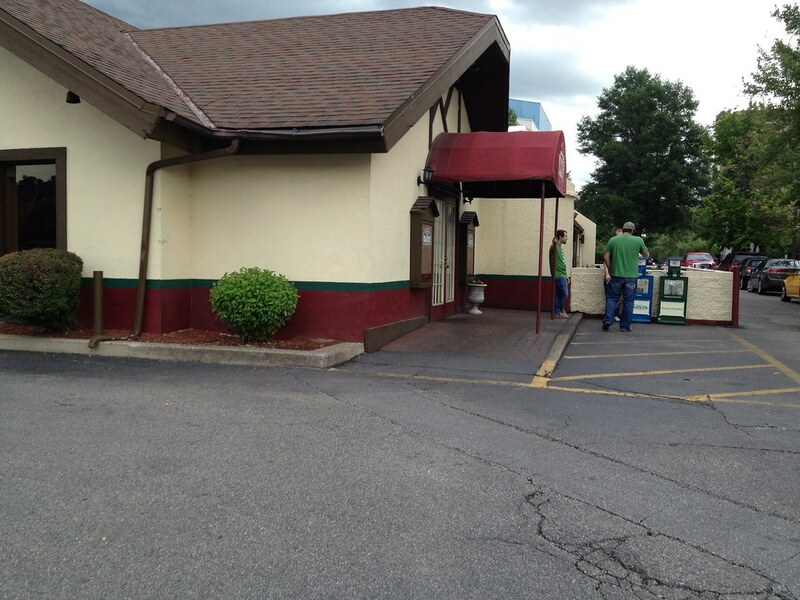 But I ordered the salad bar and prime rib. 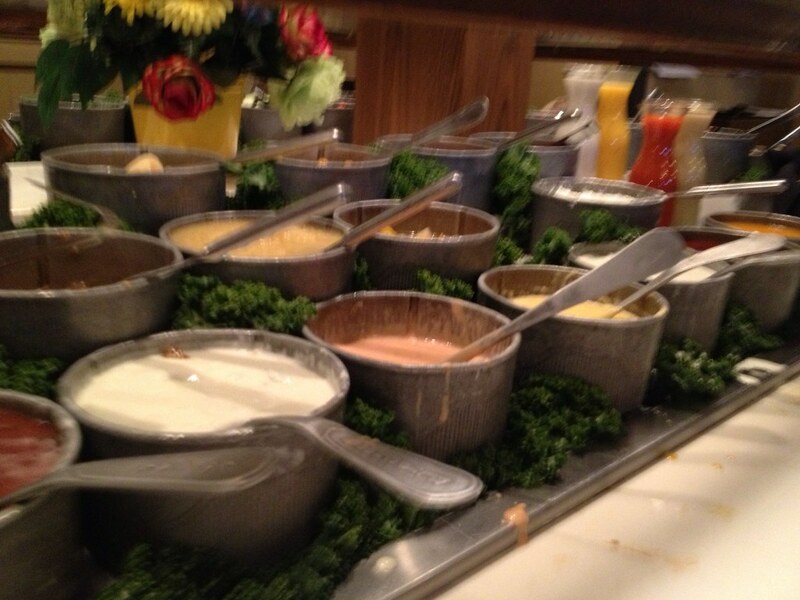 The salad bar is pretty good. 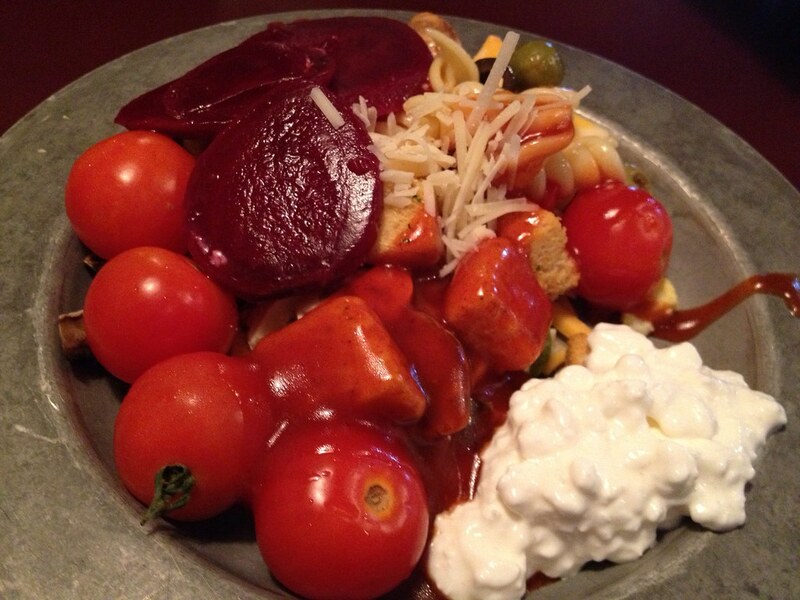 Lots of options to choose from with greens and veggies, as well as items like pasta salad and other picnic-like items. Also - every dressing you've ever wanted. They bring out some bread and butter, which was much appreciated. My prime rib was a little less stellar, I think. There were quite a few chunks of fatty parts that I'm just not a fan of. It was served with some au jus. I didn't dislike it; it just felt as though it wasn't extra flavorful. And I dropped a good bit of money to eat here without being extra impressed. $21 for a piece of meat that didn't blow me away? Eh. 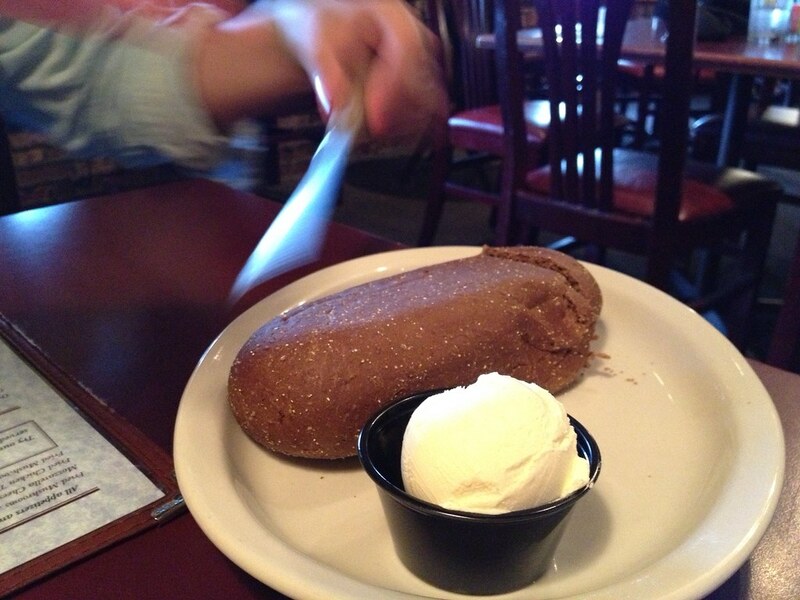 But the side of baked sweet potato was a slice of heaven. Fifth Quarter is open Monday through Thursday from 11 a.m. to 10 p.m. Friday and Saturday 11 a.m. to 11 p.m. and Sunday noon to 9 p.m.